It was smiles galore for over 250 PASIC partygoers from all over the East Midlands who attended our Christmas Party on 7th January at the Nottingham Crowne Plaza Hotel. 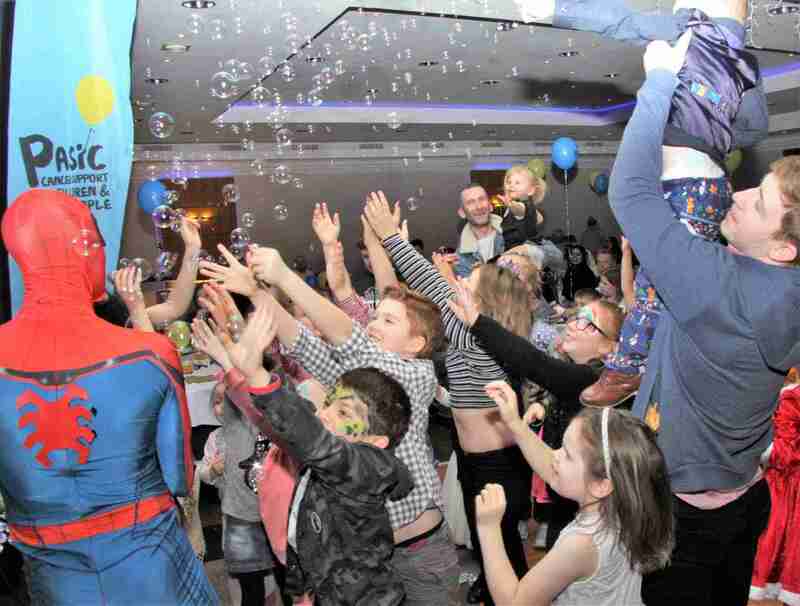 Young guests had a fabulous time being wowed by Spiderman, Star Wars Characters, magic tricks, Mary Poppins and so much more as they joined in the fun with their families and friends made on the ward in hospital. Many Mums and Dads commented on how good it was to have the chance to share happy times with others in the same situation who understand what they’ve been through, not to mention how wonderful it was to see their children having such a fun afternoon. The PASIC team would like to say a huge thank you to all those who made the party such a storming success: the hardworking team of volunteers, the incredible face painters who shared their skills for free, not to mention the many generous donations of presents by the public at the Intu shopping centre, Gem’s Cash for kids and the local businesses who kindly donated a mountain of selection boxes. Finally we we’d like to thank our friends at the Crowne Plaza who always go the extra mile for our PASIC family events. New Year Resolution number 1. Must plan another party!